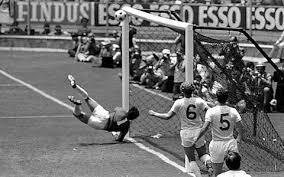 February 12 – England’s 1966 World Cup-winning goalkeeping hero Gordon Banks has died aged 81. Regarded as one of the game’s greatest, Banks was named FIFA goalkeeper of the year six times and earned 73 caps for England. A World Cup winner with England in 1966, he is perhaps best known for his wonder save from Pele during the 1970 World Cup against Brazil. Pele later admitted he shouted “gol” following his downward header, only for Banks to somehow get from one end of the net to the other and scoop the ball over the bar.